Buying or selling real estate is an extremely complex procedure. There are so many forms that need to be filled out, so much information that needs to be processed, so many meetings that need to be assembled that it is prohibitively difficult for one to do on one’s own. These may include but are not limited to mortgage documents, disclosure forms, deeds, insurance policies, inspection reports, and closing statements, which are complicated and government-mandated. In order to navigate these very intensive and complex proceedings, one really is best served by having an experienced advocate, who can help you avoid costly mistakes and unnecessary delays which could negatively impact your chances of getting the home of your dreams. An important thing to realize is that Real Estate has a very specific language that, if you don’t understand it perfectly, can trip you up and put you at an extreme disadvantage, when facing other people who do. Seasoned, expert Real Estate Agents have closed hundreds, if not thousands, of deals, and they will know how to get you what you want and need. They also always keep themselves apprised of all of the latest laws and regulations. Even if this isn’t the first home you’ve bought or sold, your information may be dated. It is vitally important that you work with someone who knows what he or she is talking about—whose career and livelihood is based on having these answers—and knows exactly what is going on in the market of today. A real estate agent can provide insight, as well as objectivity. Often, people can be blinded by their emotions, when it comes to purchasing or selling a house. Homes aren’t only pieces of property but have deep memories, associations, and thoughts attached to them. It is good to have someone on your side who won’t be swayed by emotions while helping you make the decisions you need to make. The purchase and sale of real estate is also very time-consuming. When the market is strong, in some markets property rarely remains on the market for less than 60 days, on average. The time frame is extended by at least another 30 to 60 days until the offer is accepted and the closing can occur. If you don’t have a broker representing you, this can take even longer, if it even happens at all. If your Real Estate Agent is legitimate, he or she will be a member of The Real Estate Board of New York (REBNY) , or the National Association of Realtors, (NAR) which has over 1,000,000 agents across the country. 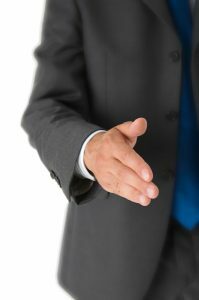 Both associations ensure that your agent adheres to a strict code of ethics to make sure you are provided with the highest quality of service available.